inscription: Handwritten in black ink on verso bottom left: "that new death h??? on atomic war". Poster has red ink printed on yellow paper with a background image of a child being carried through a war scene. 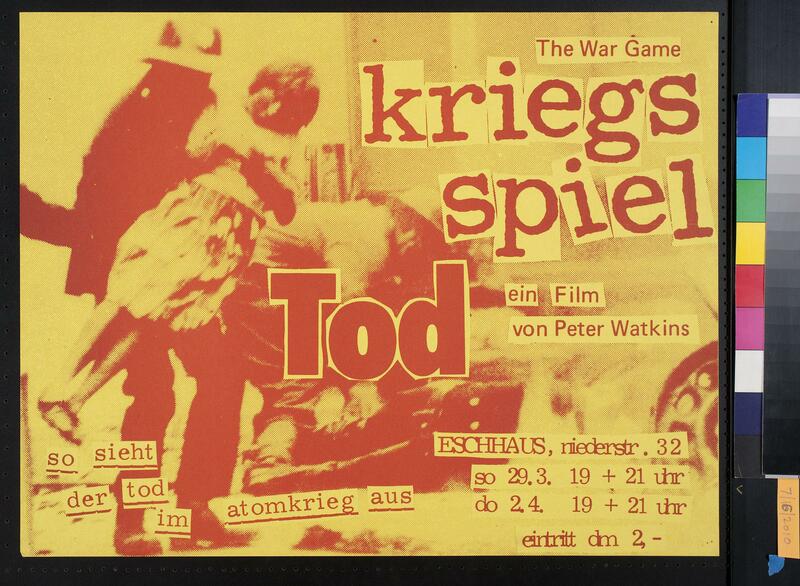 At the top right is "the war game / kriegs / spiel / tod ein film / von Peter Watkins". At the bottom is additional foreign text.